35001101 ZX14-3 HITACHI ZX14-3 Crawler excavator. Spare Parts Catalog. Service (workshop) Manual. Operator's Instruction Manual. 35001102 ZX16-3 HITACHI ZX16-3 Crawler excavator. Spare Parts Catalog. Service (workshop) Manual. Operator's Instruction Manual. 35001103 ZX18-3 HITACHI ZX18-3 Crawler excavator. Spare Parts Catalog. Service (workshop) Manual. Operator's Instruction Manual. 35001104 ZX27-3 HITACHI ZX27-3 Crawler excavator. Spare Parts Catalog. Service (workshop) Manual. Operator's Instruction Manual. 35001105 ZX27U-3 HITACHI ZX27U-3 Crawler excavator. Spare Parts Catalog. Service (workshop) Manual. Operator's Instruction Manual. 35001106 ZX29U-3 HITACHI ZX29U-3 Crawler excavator. Spare Parts Catalog. Service (workshop) Manual. Operator's Instruction Manual. 35001107 ZX30U-3F HITACHI ZX30U-3F Crawler excavator. Spare Parts Catalog. Service (workshop) Manual. Operator's Instruction Manual. 35001108 ZX30UR-3 HITACHI ZX30UR-3 Crawler excavator. Spare Parts Catalog. Service (workshop) Manual. Operator's Instruction Manual. 35001109 ZX33U-3 HITACHI ZX33U-3 Crawler excavator. Spare Parts Catalog. Service (workshop) Manual. Operator's Instruction Manual. 35001110 ZX35U-3 HITACHI ZX35U-3 Crawler excavator. Spare Parts Catalog. Service (workshop) Manual. Operator's Instruction Manual. 35001111 ZX38U-3 HITACHI ZX38U-3 Crawler excavator. Spare Parts Catalog. Service (workshop) Manual. Operator's Instruction Manual. 35001112 ZX40U-3 HITACHI ZX40U-3 Crawler excavator. Spare Parts Catalog. Service (workshop) Manual. Operator's Instruction Manual. 35001113 ZX40UR-3 HITACHI ZX40UR-3 Crawler excavator. Spare Parts Catalog. Service (workshop) Manual. Operator's Instruction Manual. 35001114 ZX48U-3 HITACHI ZX48U-3 Crawler excavator. Spare Parts Catalog. Service (workshop) Manual. Operator's Instruction Manual. 35001115 ZX50U-3 HITACHI ZX50U-3 Crawler excavator. Spare Parts Catalog. Service (workshop) Manual. Operator's Instruction Manual. 35001116 ZX52U-3 HITACHI ZX52U-3 Crawler excavator. Spare Parts Catalog. Service (workshop) Manual. Operator's Instruction Manual. 35001117 ZX55UR-3 HITACHI ZX55UR-3 Crawler excavator. Spare Parts Catalog. Service (workshop) Manual. Operator's Instruction Manual. 35001118 ZX60USB-3 HITACHI ZX60USB-3 Crawler excavator. Spare Parts Catalog. Service (workshop) Manual. Operator's Instruction Manual. 35001119 ZX70-3 HITACHI ZX70-3 Crawler excavator. Spare Parts Catalog. Service (workshop) Manual. Operator's Instruction Manual. 35001120 ZX70LC-3 HITACHI ZX70LC-3 Crawler excavator. Spare Parts Catalog. Service (workshop) Manual. Operator's Instruction Manual. 35001121 ZX75UR-3 HITACHI ZX75UR-3 Crawler excavator. Spare Parts Catalog. Service (workshop) Manual. Operator's Instruction Manual. 35001122 ZX75US-3 HITACHI ZX75US-3 Crawler excavator. Spare Parts Catalog. Service (workshop) Manual. Operator's Instruction Manual. 35001123 ZX75USK-3 HITACHI ZX75USK-3 Crawler excavator. Spare Parts Catalog. Service (workshop) Manual. Operator's Instruction Manual. 35001124 ZX80LCK-3 HITACHI ZX80LCK-3 Crawler excavator. Spare Parts Catalog. Service (workshop) Manual. Operator's Instruction Manual. 35001125 ZX85US-3 HITACHI ZX85US-3 Crawler excavator. Spare Parts Catalog. Service (workshop) Manual. Operator's Instruction Manual. 35001126 ZX85USB-3 HITACHI ZX85USB-3 Crawler excavator. Spare Parts Catalog. Service (workshop) Manual. Operator's Instruction Manual. 35001127 ZX85USBLC - 3 HITACHI ZX85USBLC-3 Crawler excavator. Spare Parts Catalog. Service (workshop) Manual. Operator's Instruction Manual. 35001128 ZX110-3 HITACHI ZX110-3 Crawler excavator. Spare Parts Catalog. Service (workshop) Manual. Operator's Instruction Manual. 35001129 ZX110M-3 HITACHI ZX110M-3 Crawler excavator. Spare Parts Catalog. Service (workshop) Manual. Operator's Instruction Manual. 35001130 ZX120-3 HITACHI ZX120-3 Crawler excavator. Spare Parts Catalog. Service (workshop) Manual. Operator's Instruction Manual. 35001131 ZX130-3 HITACHI ZX130-3 Crawler excavator. Spare Parts Catalog. Service (workshop) Manual. Operator's Instruction Manual. 35001132 ZX130K-3 HITACHI ZX130K-3 Crawler excavator. Spare Parts Catalog. Service (workshop) Manual. Operator's Instruction Manual. 35001133 ZX130LCN-3 HITACHI ZX130LCN-3 Crawler excavator. Spare Parts Catalog. Service (workshop) Manual. Operator's Instruction Manual. 35001134 ZX135US-3 HITACHI ZX135US-3 Crawler excavator. Spare Parts Catalog. Service (workshop) Manual. Operator's Instruction Manual. 35001135 ZX135USK-3 HITACHI ZX135USK-3 Crawler excavator. Spare Parts Catalog. Service (workshop) Manual. Operator's Instruction Manual. 35001136 ZX160LC-3 HITACHI ZX160LC-3 Crawler excavator. Spare Parts Catalog. Service (workshop) Manual. Operator's Instruction Manual. 35001137 ZX180LC-3 HITACHI ZX180LC-3 Crawler excavator. Spare Parts Catalog. Service (workshop) Manual. Operator's Instruction Manual. 35001138 ZX200-3 HITACHI ZX200-3 Crawler excavator. Spare Parts Catalog. Service (workshop) Manual. Operator's Instruction Manual. 35001139 ZX200-3G HITACHI ZX200-3G Crawler excavator. Spare Parts Catalog. Service (workshop) Manual. Operator's Instruction Manual. 35001140 ZX200 - 3 - HCMC HITACHI ZX200-3-HCMC Crawler excavator. Spare Parts Catalog. Service (workshop) Manual. Operator's Instruction Manual. 35001141 ZX210-3 HITACHI ZX210-3 Crawler excavator. Spare Parts Catalog. Service (workshop) Manual. Operator's Instruction Manual. 35001142 ZX210H-3 HITACHI ZX210H-3 Crawler excavator. Spare Parts Catalog. Service (workshop) Manual. Operator's Instruction Manual. 35001143 ZX210H-3G HITACHI ZX210H-3G Crawler excavator. Spare Parts Catalog. Service (workshop) Manual. Operator's Instruction Manual. 35001144 ZX210H - 3 - HCMC HITACHI ZX210H-3-HCMC Crawler excavator. Spare Parts Catalog. Service (workshop) Manual. Operator's Instruction Manual. 35001145 ZX210K-3 HITACHI ZX210K-3 Crawler excavator. Spare Parts Catalog. Service (workshop) Manual. Operator's Instruction Manual. 35001146 ZX210K-3G HITACHI ZX210K-3G Crawler excavator. Spare Parts Catalog. Service (workshop) Manual. Operator's Instruction Manual. 35001147 ZX210N -3 - AMS HITACHI ZX210N-3-AMS Crawler excavator. Spare Parts Catalog. Service (workshop) Manual. Operator's Instruction Manual. 35001148 ZX210LC-3 HITACHI ZX210LC-3 Crawler excavator. Spare Parts Catalog. Service (workshop) Manual. Operator's Instruction Manual. 35001149 ZX210LC-3G HITACHI ZX210LC-3G Crawler excavator. Spare Parts Catalog. Service (workshop) Manual. Operator's Instruction Manual. 35001150 ZX210LCH-3 HITACHI ZX210LCH-3 Crawler excavator. Spare Parts Catalog. Service (workshop) Manual. Operator's Instruction Manual. 35001151 ZX210LCK-3 HITACHI ZX210LCK-3 Crawler excavator. Spare Parts Catalog. Service (workshop) Manual. Operator's Instruction Manual. 35001152 ZX210LCN-3 HITACHI ZX210LCN-3 Crawler excavator. Spare Parts Catalog. Service (workshop) Manual. Operator's Instruction Manual. 35001153 ZX210N-3 HITACHI ZX210N-3 Crawler excavator. Spare Parts Catalog. Service (workshop) Manual. Operator's Instruction Manual. 35001154 ZX225US-3 HITACHI ZX225US-3 Crawler excavator. Spare Parts Catalog. Service (workshop) Manual. Operator's Instruction Manual. 35001155 ZX225USLC - 3 HITACHI ZX225USLC-3 Crawler excavator. Spare Parts Catalog. Service (workshop) Manual. Operator's Instruction Manual. 35001156 ZX225USR-3 HITACHI ZX225USR-3 Crawler excavator. Spare Parts Catalog. Service (workshop) Manual. Operator's Instruction Manual. 35001157 ZX225USRK-3 HITACHI ZX225USRK-3 Crawler excavator. Spare Parts Catalog. Service (workshop) Manual. Operator's Instruction Manual. 35001158 ZX225USRLC - 3 HITACHI ZX225USRLC-3 Crawler excavator. Spare Parts Catalog. Service (workshop) Manual. Operator's Instruction Manual. 35001159 ZX240-3 HITACHI ZX240-3 Crawler excavator. Spare Parts Catalog. Service (workshop) Manual. Operator's Instruction Manual. 35001160 ZX240-3G HITACHI ZX240-3G Crawler excavator. Spare Parts Catalog. Service (workshop) Manual. Operator's Instruction Manual. 35001161 ZX240 - 3 - HCMC HITACHI ZX240-3-HCMC Crawler excavator. Spare Parts Catalog. Service (workshop) Manual. Operator's Instruction Manual. 35001162 ZX240LC-3 HITACHI ZX240LC-3 Crawler excavator. Spare Parts Catalog. Service (workshop) Manual. Operator's Instruction Manual. 35001163 ZX240N-3 HITACHI ZX240N-3 Crawler excavator. Spare Parts Catalog. Service (workshop) Manual. Operator's Instruction Manual. 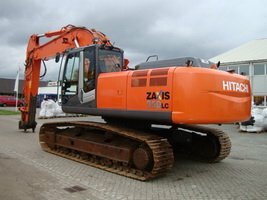 35001164 ZX250H-3 HITACHI ZX250H-3 Crawler excavator. Spare Parts Catalog. Service (workshop) Manual. Operator's Instruction Manual. 35001165 ZX250H-3G HITACHI ZX250H-3G Crawler excavator. Spare Parts Catalog. Service (workshop) Manual. Operator's Instruction Manual. 35001166 ZX250H - 3 - HCMC HITACHI ZX250H-3-HCMC Crawler excavator. Spare Parts Catalog. Service (workshop) Manual. Operator's Instruction Manual. 35001167 ZX250K-3 HITACHI ZX250K-3 Crawler excavator. Spare Parts Catalog. Service (workshop) Manual. Operator's Instruction Manual. 35001168 ZX250K-3G HITACHI ZX250K-3G Crawler excavator. Spare Parts Catalog. Service (workshop) Manual. Operator's Instruction Manual. 35001169 ZX250LC-3 HITACHI ZX250LC-3 Crawler excavator. Spare Parts Catalog. Service (workshop) Manual. Operator's Instruction Manual. 35001170 ZX250LC-3G HITACHI ZX250LC-3G Crawler excavator. Spare Parts Catalog. Service (workshop) Manual. Operator's Instruction Manual. 35001171 ZX250LCH-3 HITACHI ZX250LCH-3 Crawler excavator. Spare Parts Catalog. Service (workshop) Manual. Operator's Instruction Manual. 35001172 ZX250LCK-3 HITACHI ZX250LCK-3 Crawler excavator. Spare Parts Catalog. Service (workshop) Manual. Operator's Instruction Manual. 35001173 ZX250LCN-3 HITACHI ZX250LCN-3 Crawler excavator. Spare Parts Catalog. Service (workshop) Manual. Operator's Instruction Manual. 35001174 ZX270-3 HITACHI ZX270-3 Crawler excavator. Spare Parts Catalog. Service (workshop) Manual. Operator's Instruction Manual. 35001175 ZX270 - 3 - HCMC HITACHI ZX270-3-HCMC Crawler excavator. Spare Parts Catalog. Service (workshop) Manual. Operator's Instruction Manual. 35001176 ZX270LC-3 HITACHI ZX270LC-3 Crawler excavator. Spare Parts Catalog. Service (workshop) Manual. Operator's Instruction Manual. 35001177 ZX280LC-3 HITACHI ZX280LC-3 Crawler excavator. Spare Parts Catalog. Service (workshop) Manual. Operator's Instruction Manual. 35001178 ZX280LCH-3 HITACHI ZX280LCH-3 Crawler excavator. Spare Parts Catalog. Service (workshop) Manual. Operator's Instruction Manual. 35001179 ZX280LCN-3 HITACHI ZX280LCN-3 Crawler excavator. Spare Parts Catalog. Service (workshop) Manual. Operator's Instruction Manual. 35001180 ZX330-3 HITACHI ZX330-3 Crawler excavator. Spare Parts Catalog. Service (workshop) Manual. Operator's Instruction Manual. 35001181 ZX330-3G HITACHI ZX330-3G Crawler excavator. Spare Parts Catalog. Service (workshop) Manual. Operator's Instruction Manual. 35001182 ZX330 - 3 - HCMC HITACHI ZX330-3-HCMC Crawler excavator. Spare Parts Catalog. Service (workshop) Manual. Operator's Instruction Manual. 35001183 ZX330LC-3 HITACHI ZX330LC-3 Crawler excavator. Spare Parts Catalog. Service (workshop) Manual. Operator's Instruction Manual. 35001184 ZX350H-3 HITACHI ZX350H-3 Crawler excavator. Spare Parts Catalog. Service (workshop) Manual. Operator's Instruction Manual. 35001185 ZX350H-3G HITACHI ZX350H-3G Crawler excavator. Spare Parts Catalog. Service (workshop) Manual. Operator's Instruction Manual. 35001186 ZX350K-3 HITACHI ZX350K-3 Crawler excavator. Spare Parts Catalog. Service (workshop) Manual. Operator's Instruction Manual. 35001187 ZX350K-3G HITACHI ZX350K-3G Crawler excavator. Spare Parts Catalog. Service (workshop) Manual. Operator's Instruction Manual. 35001188 ZX350LC-3 HITACHI ZX350LC-3 Crawler excavator. Spare Parts Catalog. Service (workshop) Manual. Operator's Instruction Manual. 35001189 ZX350LCH-3 HITACHI ZX350LCH-3 Crawler excavator. Spare Parts Catalog. Service (workshop) Manual. Operator's Instruction Manual. 35001190 ZX350LCK-3 HITACHI ZX350LCK-3 Crawler excavator. Spare Parts Catalog. Service (workshop) Manual. Operator's Instruction Manual. 35001191 ZX350LCN-3 HITACHI ZX350LCN-3 Crawler excavator. Spare Parts Catalog. Service (workshop) Manual. Operator's Instruction Manual. 35001192 ZX350LC-3 HITACHI ZX350LC-3 Crawler excavator. Spare Parts Catalog. Service (workshop) Manual. Operator's Instruction Manual. 35001193 ZX360H-3G HITACHI ZX360H-3G Crawler excavator. Spare Parts Catalog. Service (workshop) Manual. Operator's Instruction Manual. 35001194 ZX360H-3 HITACHI ZX360H-3 Crawler excavator. Spare Parts Catalog. Service (workshop) Manual. Operator's Instruction Manual. 35001195 ZX360LC-3 HITACHI ZX360LC-3 Crawler excavator. Spare Parts Catalog. Service (workshop) Manual. Operator's Instruction Manual. 35001196 ZX400LCH-3 HITACHI ZX400LCH-3 Crawler excavator. Spare Parts Catalog. Service (workshop) Manual. Operator's Instruction Manual. 35001197 ZX400R-3 HITACHI ZX400R-3 Crawler excavator. Spare Parts Catalog. Service (workshop) Manual. Operator's Instruction Manual. 35001198 ZX400R-3 HITACHI ZX400R-3 Crawler excavator. Spare Parts Catalog. Service (workshop) Manual. Operator's Instruction Manual. 35001199 ZX450-3 HITACHI ZX450-3 Crawler excavator. Spare Parts Catalog. Service (workshop) Manual. Operator's Instruction Manual. 35001200 ZX450LC-3 HITACHI ZX450LC-3 Crawler excavator. Spare Parts Catalog. Service (workshop) Manual. Operator's Instruction Manual. 35001201 ZX470H-3 HITACHI ZX470H-3 Crawler excavator. Spare Parts Catalog. Service (workshop) Manual. Operator's Instruction Manual. 35001202 ZX470H - 3 - HCMC HITACHI ZX470H-3-HCMC Crawler excavator. Spare Parts Catalog. Service (workshop) Manual. Operator's Instruction Manual. 35001203 ZX470LCH-3 HITACHI ZX470LCH-3 Crawler excavator. Spare Parts Catalog. Service (workshop) Manual. Operator's Instruction Manual. 35001204 ZX470R-3 HITACHI ZX470R-3 Crawler excavator. Spare Parts Catalog. Service (workshop) Manual. Operator's Instruction Manual. 35001205 ZX500-3 HITACHI ZX500-3 Crawler excavator. Spare Parts Catalog. Service (workshop) Manual. Operator's Instruction Manual. 35001206 ZX500LC-3 HITACHI ZX500LC-3 Crawler excavator. Spare Parts Catalog. Service (workshop) Manual. Operator's Instruction Manual. 35001207 ZX520LCH-3 HITACHI ZX520LCH-3 Crawler excavator. Spare Parts Catalog. Service (workshop) Manual. Operator's Instruction Manual. 35001208 ZX520LCR-3 HITACHI ZX520LCR-3 Crawler excavator. Spare Parts Catalog. Service (workshop) Manual. Operator's Instruction Manual. 35001209 ZX650LC-3 HITACHI ZX650LC-3 Crawler excavator. Spare Parts Catalog. Service (workshop) Manual. Operator's Instruction Manual. 35001210 ZX670LCH-3 HITACHI ZX670LCH-3 Crawler excavator. Spare Parts Catalog. Service (workshop) Manual. Operator's Instruction Manual. 35001211 ZX850-3 HITACHI ZX850-3 Crawler excavator. Spare Parts Catalog. Service (workshop) Manual. Operator's Instruction Manual. 35001212 ZX850LC-3 HITACHI ZX850LC-3 Crawler excavator. Spare Parts Catalog. Service (workshop) Manual. Operator's Instruction Manual. 35001213 ZX870H-3 HITACHI ZX870H-3 Crawler excavator. Spare Parts Catalog. Service (workshop) Manual. Operator's Instruction Manual. 35001214 ZX870H - 3 - HCMC HITACHI ZX870H-3-HCMC Crawler excavator. Spare Parts Catalog. Service (workshop) Manual. Operator's Instruction Manual. 35001215 ZX870LCH-3 HITACHI ZX870LCH-3 Crawler excavator. Spare Parts Catalog. Service (workshop) Manual. Operator's Instruction Manual. 35001216 ZX870LCR-3 HITACHI ZX870LCR-3 Crawler excavator. Spare Parts Catalog. Service (workshop) Manual. Operator's Instruction Manual. 35001217 ZX870R-3 HITACHI ZX870R-3 Crawler excavator. Spare Parts Catalog. Service (workshop) Manual. Operator's Instruction Manual. 35001218 TL1100-3 Material Handling Machine HITACHI TL1100-3 Crawler excavator. Spare Parts Catalog. Service (workshop) Manual. Operator's Instruction Manual. 35001219 ZX1800K-3 HITACHI ZX1800K-3 Crawler excavator. Spare Parts Catalog. Service (workshop) Manual. Operator's Instruction Manual.